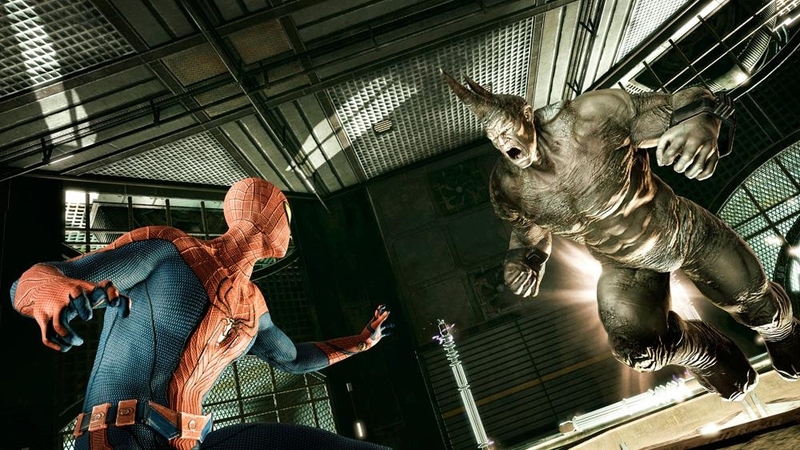 The Amazing Spider-Man game brings back the always-fun free-roaming gameplay from past Spider-Man games, and frees itself from the movie in terms of its storyline by taking place after the movie is done. 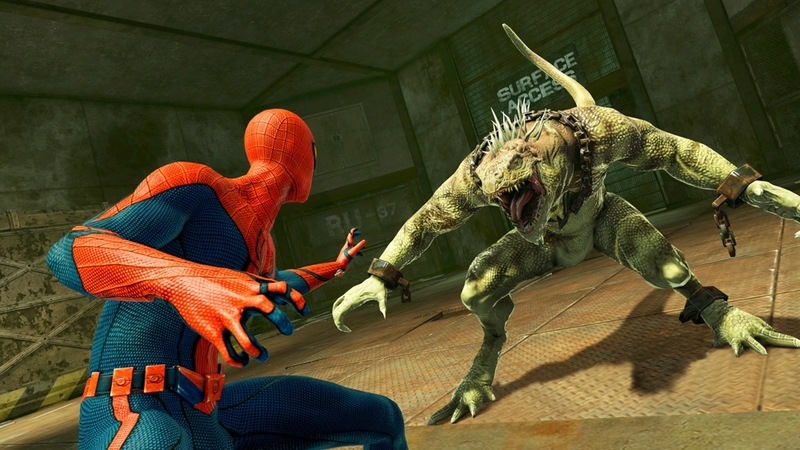 The game is pretty easy to play, both in terms of controls and difficulty – so long as you’re using gained experience to upgrade Spider-Man’s abilities. It has everything going for it, but there we’re still elements of the game which hold it back from being truly amazing and surpassing the Spider-Man 2 game. The main story of the game takes place a short time after the events of the movie, so there are some spoilers in the game that could ruin parts of the movie. While you will fight known enemies in the Spider-Man universe, there is a new take on why you are fighting them. Like all freak accidents, things usually start in a lab and for this game it’s no different. Similar to the way that Spider-Man gets his powers, others that have been experimented on have changed. Instead of fighting the normal villains such as Rhino and Scorpion, this game has you fighting a cross-species version of those villains who are created due to a composition of human and animal DNA. 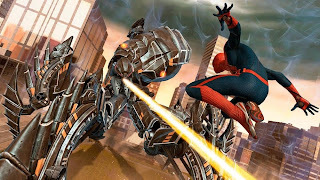 Oscorp has robotic sentries who seek out to destroy the cross-species experiments and help stop a virus from spreading, but since you place as Spider-Man, a cross-species himself, you’ll have to deal with robots, criminals, guards, and other threats as you seek out to save the city. The Story took me about 7 hours on the hero difficulty, which is essentially normal. After I completed the game, I spent some time swinging around the city and completing side-missions, which can help add to replay value aside from replaying missions with upgraded powers. Before I get to the swinging, I wanted to write about the combat, web rush and mission structure. You would think that the return of free-roaming would create more outdoor missions, but almost every story mission takes place indoors. These missions work well, but I would have liked to seen more done with the open world aside from getting to mission after mission indoors. The camera works wells enough, as does indoor swinging since you can choose to swing higher or lower to reach certain areas. Combat is fun and simple. 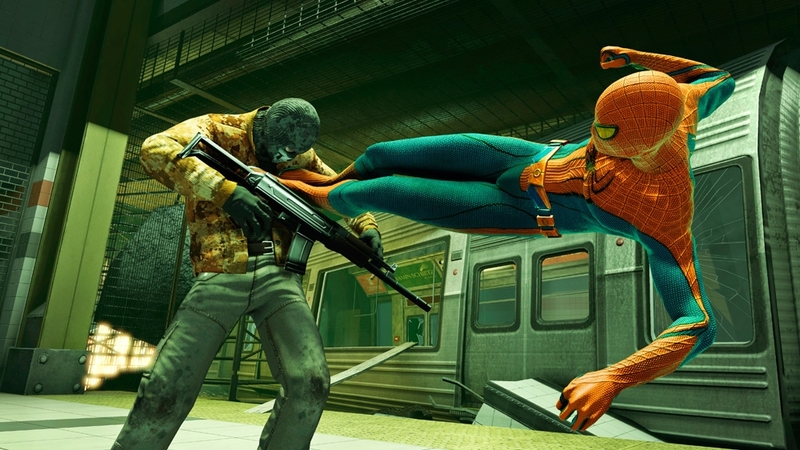 Spider-Man can dodge, counter, and use special moves after a specific combo streak has been achieved – similar to the way Batman Arkham City plays. Upgrading adds a few new moves, and each basic move can be upgrade a few times to increase damage and range for attacks. Web Rush is a mechanic that allows you to quickly get to areas by viewing locations in a first person perspective. Looking around the area will show silhouettes of Spider-Man and areas that you can quickly zip to. It's a pretty cool feature that helps when you need to recover from damage aside from getting around the city in a fast and neat looking way. The swinging is something that really makes Spider-Man games special, especially when traversing around Manhattan. While it is still fun to do in Amazing Spider-Man, it feels more automated than previous games. All you need to due is simply use the trigger to swing around, and Spider-Man will always go forward. The problem is really that Beenox has made things too easy with the swing. Maybe it’s because I miss the swinging in Spider-Man 2, but I didn’t really like not having full control in this game. There’s none of the swing, boost, jump motions going on that allowed you to zip through the game anymore. Overall the game is still fun to play, animations are great, and even though the movie cast does not reprise their role for the game, Amazing Spider-Man still has great acting and a comedic Spider-Man. If you missed swinging around the city in the recent Spider-Man games, you’ll enjoy it here, but its just not as controlling as you might want it to be. 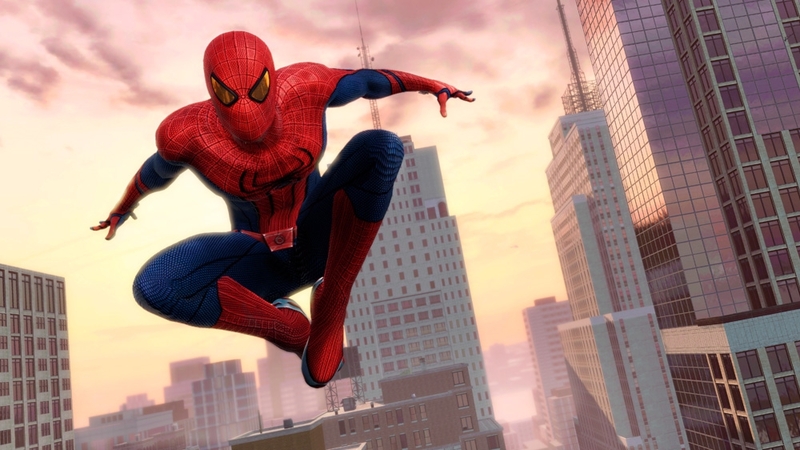 "Harness Spider-Man’s powers with Manhattan as your playground! 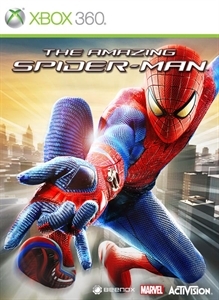 Set shortly after the events of Columbia Pictures' new film, The Amazing Spider-Man throws New York City's brand new hero back into free-roaming, web-slinging action, as he protects the Big Apple from a deluge of unimaginable threats."